The Russian Bishop's House in Sitka, a National Historic Landmark, is one of four surviving examples of Russian Colonial Style architecture in the Western Hemisphere. 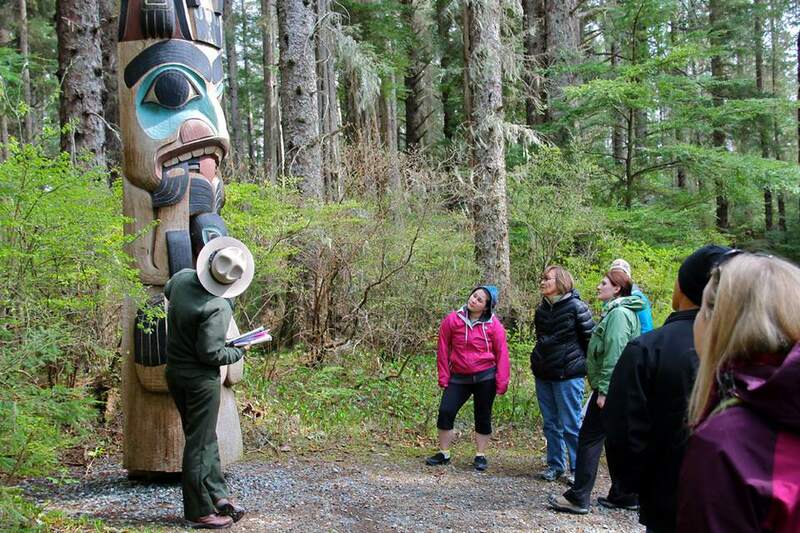 A Park Ranger leads a totem pole tour in Sitka National Historic Park. During the early 19th century, the community flourished under Russian rule as an fur-trading outpost. In 1867, Russia sold Alaska to the United States, and the transfer ceremony took place in Sitka, which then served as the territorial capital until 1906. During the 20th century, important industries included fisheries, canneries, and saw mills, and the military was a significant presence during World War II at Sitka Naval Air Station. Today, tourism is a major economic generator, with 250,000 cruise ship passengers visiting Sitka annually to experience its rich heritage of three distinct cultures. Historic sites range from Tlingit archeological and cultural sites, to early 19th century buildings of the Russian period, to World War II properties. The former Sitka Naval Air Station is one of eight National Historic Landmarks and the proposed site of a new maritime heritage center. 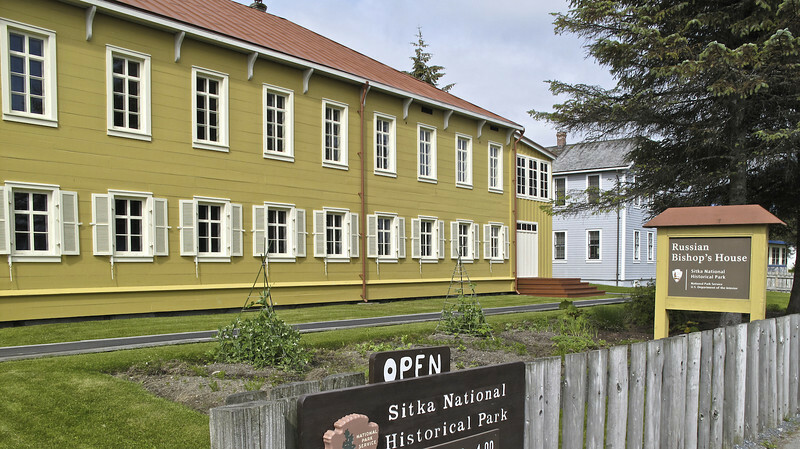 The city is leasing the historic Japonski Island Marine Ways Building to the Sitka Maritime Heritage Society, which is spearheading implementation of the project. When completed, the new museum will be the only site providing World War II and maritime heritage interpretation in southeast Alaska.